So, are you interested in SOA & Service Orientation technologies?, that’s great because we also are, and work with those every single day since a long time ago. As integration professionals, we’ve seen the SOA stack grow, change, incorporating new products and technology with each passing year. We’re Arturo Viveros and Rolando Carrasco, the SOA Myth Busters from Mexico, and as we go with this series we will put to the test a number of questions, myths and urban legends regarding SOA, Digital Transformation and much more, in seek of finding out which myths are true and which are not. 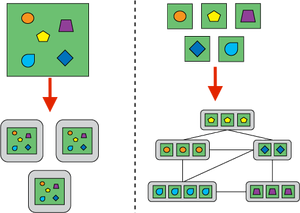 With the term “monolith” being one of the most dreaded in IT lore, the design principles for which Microservices stand for become even more impactful: Read the complete article here.